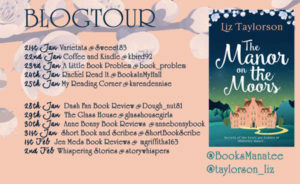 Welcome to my stop on the blog tour for The Manor on the Moors by Liz Taylorson. My thanks to Tracy Fenton for the place on the tour and to Manatee Books for providing a copy of the book for review. I loved Liz Taylorson’s debut, The Little Church by the Sea, so I was really keen to read The Manor on the Moors. 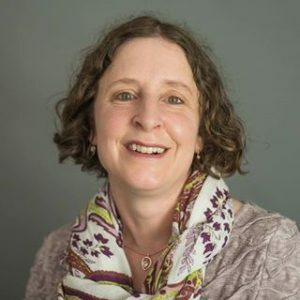 I was taken by the storyline straightaway as we follow Alice, a young PhD student researching the life of Gilbert Fox-Travers, an artist and architect who mysteriously disappeared in 1912. To do this she is spending time at Misterley Manor, a stately home looked after by Caroline, the daughter of the family who own the manor. There are lots of relationship complications in this book. Alice and her boyfriend, Caroline and her ex-husband, and more besides. In many ways this is a romance novel with the added interest provided by the stately home and the Fox-Travers mystery, and a teeny bit of raunchiness that surprised me a little. I particularly enjoyed the descriptions of the house and the attention to detail from the author in this respect. Houses like this one are so interesting and have such a colourful past and Misterley Manor is no exception. I found myself fascinated by it. The house is definitely a character in its own right with its octagon library, the gothic tower and all of its many secrets. I can’t not mention Aunty Marjorie. What a lass she is. She’s quirky and doesn’t let being in her late 70s stop her from getting up to all kinds. I probably liked Alice most of all though as she’s kind and pretty brave. All the characters are interesting and well-drawn though, and all add something to the story. 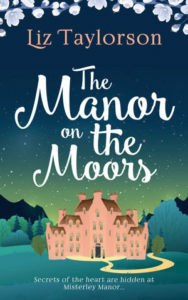 The Manor on the Moors is a pleasing read with a plot that appealed to me in so many ways, and I very much enjoyed the time I spent reading it. I love it when a setting becomes a character itself! Fab review!